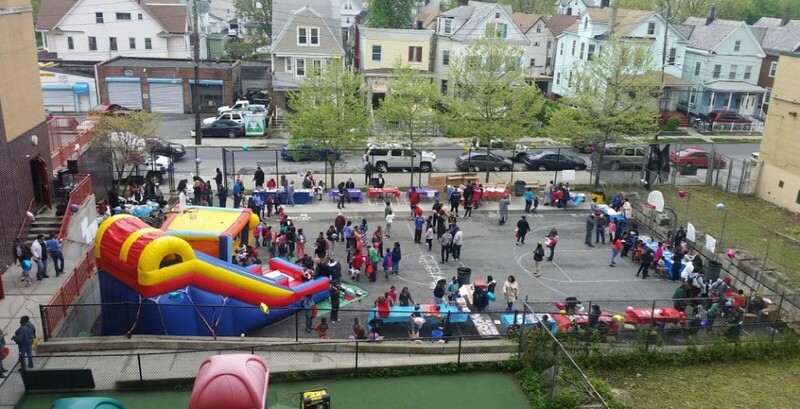 On Saturday May 7, Wellcore Consulting and the Mount Vernon City School District hosted Family Fun Day at Grimes Elementary School. The event featured a huge inflatable slide, a DJ, carnival games, cooking demos, bike helmet giveaways and more. Family Fun day was a festive way to celebrate the completion of Parent University, a program that had been offered at the school over five previous Saturdays. Parent University taught parents fun ways to help their children learn and also gave them new ideas for improving their families’ health and wellness. Click here to view a slideshow of images from the event!